Plant Science, like the biological sciences in general, has undergone seismic shifts in the last thirty or so years. Of course science is always changing and metamorphosing, but these shifts have meant that modern plant science has moved away from its previous more agricultural and botanical context, to become a core biological discipline in its own right. However the sheer amount of information that is accumulating about plant science, and the difficulty of grasping it all, understanding it and evaluating it intelligently, has never been harder for the new generation of plant scientists or, for that matter, established scientists. And that is precisely why this Handbook of Plant Science has been put together. Discover modern, molecular plant sciences as they link traditional disciplines! Derived from the acclaimed Encyclopedia of Life Sciences! Thorough reference of up-to-the minute, reliable, self-contained, peer-reviewed articles – cross-referenced throughout! Contains 255 articles and 48 full-colour pages, written by top scientists in each field! 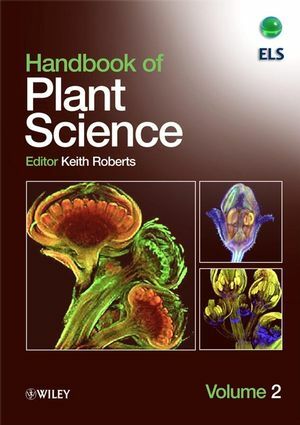 The Handbook of Plant Science is an authoritative source of up-to-date, practical information for all teachers, students and researchers working in the field of plant science, botany, plant biotechnology, agriculture and horticulture. Editor: KEITH ROBERTS, Department of Cell Biology, John Innes Centre, Norwich, UK. History of plant science (Janet Browne). Philosophy of biological classification (Marc Ereshefsky). Meristems (Kirsten A Green and Steven E Clark). Floral meristems (Kay Schneitz and Sureshkumar Balasubramanian). Root apical meristems (Ji-Young Lee and Philip N Benfey). Plant organ primordial (Keiko U Torii). Roots and root systems (Nancy M Kerk and IanM Sussex). Primary root (Peter W Barlow). Lateral/secondary roots (Bert JVan derZaal and Leon W Neuteboom). Adventitious roots (Dawn S Neuman and Janis Hansberry). Root nodules (Rhizobium, legumes) (Nicholas J Brewin). Root-nodule symbiosis: molecular basis of nodule formation (Giles Oldroyd). Roots: contribution to the rhizosphere (Uvini Gunawardena, Xiaowen Zhao and Martha C Hawes). Shoots and buds (Rita Groá-Hardt and Thomas Laux). Leaf and internode (Andrew Hudson and Christopher Jeffree). Phyllotaxy (Rolf Rutishauser and Peter Peisl). Plant tissues (Arp Schnittger and Martin Hülskamp). Plant epidermis (Beverley J Glover). Trichomes (Martin Hülskamp and Birgit Schwab). Pericycle (Joseph G Dubrovsky and Thomas L Rost). Plant tracheary elements (Hiroo Fukuda). Sclerenchyma (Michael C Jarvis and Isabelle His). Companion cells (Sylvie Lalonde, Vincent R Franceschi and Wolf B Frommer). Plant chimaeras and mosaics (Gerd Bossinger). Plant biomechanics (Julian FV Vincent). Plant cell: overview (Fiona Doris and Martin Steer). Plant plasma membrane (Christer Larsson, Marianne Sommarin, Christophe Pical, Per Kjellbom and Susanne Widell). Plant endoplasmic reticulum (Jurgen Denecke). Plant Golgi apparatus (Chris Hawes and Béatrice Satiat-Jeunemaitre). Plant cell vacuoles (Jean-Marc Neuhaus and Enrico Martinoia). Plant exocytosis, endocytosis and membrane recycling in turgid cells (Nicholas H Battey). Plant peroxisomes and glyoxysomes (Robert Paul Donaldson, Masoumeh Assadi, Konstantina Karyotou, Tulin Olcum and Tianqing Qiu). Plant chloroplasts and other plastids (Ulf-Ingo Flügge). Plant mitochondria (Ray J Rose, David W McCurdy and Michael B Sheahan). Plant cells: plasmodesmata (Karl J Oparka). Plant cell walls (Stephen C Fry). Plant cell wall biosynthesis (Stephen C Fry). Plant cell walls: economic significance (James N BeMiller). Plant cytoskeleton (Clive W Lloyd). Plant mitosis, cytokinesis and cell plate formation (Richard J Cyr). Plant cell growth and elongation (Maureen C McCann, Keith Roberts and Nicholas C Carpita). Plant programmed cell death (Eric Lam). Plant cell differentiation (Martin Hülskamp). Plant cell cycle and control (Suzanne Kuijt and Arp Schnittger). Plant genetics and development (Ueli Grossniklaus). Plant organ size control (Lena Stransfeld and Michael Lenhard). Endoreduplication and cell size control in plants (Christian Breuer and Keiko Sugimoto-Shirasu). Polar auxin transport (Isabelle Bohn Courseau and Jan Traas). Cytokinin (Michael Riefler, Tomás Werner and Alexander Heyl). Abscisic acid (ABA) (Adrian J Cutler). Nitric oxide signalling in plants (Elodie Vandelle, Federica Zaninotto and Massimo Delledonne). Ethylene (Josephine S Resnick and Caren Chang). Brassinosteroids (Jia Li and Xiaoping Gou). Peptide signalling in plants (Youji Sakagami). Cell signalling mechanisms in plants (László Bögre). Systemic signalling in plant development (David Jackson). Shoot branching and plant architecture (Tom A Bennett, Scott R Crawford, Sally P Ward and Ottoline Leyser). Genetic control of leaf shape (Daniel P Koenig and Neelima R Sinha). Regulatory mechanisms of phyllotaxy (Andrew Hudson). Positional information in plant development (Allen Sessions and Martin Yanofsky). Stomatal patterning (Cora A MacAlister and Dominique C Bergmann). Plant reproduction (Gregory M Zinkl). Arabidopsis: flower development and patterning (John L Bowman). Apomixis (Abed Chaudhury, Anna Koltunow and ES Dennis and WJ Peacock). Gametophyte and sporophyte (Sheila McCormick). Pollen: structure, development and function (David Twell). Stamen and pollen development (Abed Chaudhury). Self-incompatibility (Veronica Franklin-Tong and Christopher Franklin). Plant embryogenesis (zygotic and somatic) (John J Harada and Raymond W Kwong). Seed germination and reserve mobilization (J Derek Bewley). Dormancy in plants (Henk WM Hilhorst and Maarten Koornneef). Abscission (Jeremy A Roberts and Zinnia H Gonza?lez-Carranza). Heterochrony in plants (Elizabeth M Lord). Vernalization (E Jean Finnegan, Chris Helliwell, Candice Sheldon, W James Peacock, Elizabeth Dennis, David Bagnall, Dean Rouse and Million Tadege). Plant circadian rhythms (Harriet McWatters). Senescence in plants (Vicky Buchanan-Wollaston). Regulatory genes in plant development: homeobox (Kook-Hyun Chung and Neelima R Sinha). Regulatory genes in plant development: MADS (Hong Ma). Gene expression in plants (Robert WM Sablowski). Plant nuclear genome composition (JS (Pat) Heslop-Harrison and Thomas Schmidt). Mitochondrial genome organisation and expression in plants (Axel Brennicke and Christopher J Leaver). Chloroplast genome (Christopher J Howe). Plant synteny, colinearity and genome evolution (Jeffrey L Bennetzen and Katrien Devos). Ploidy variation in plants (James A Birchler). Plant genome projects (Renate Schmidt). Plant gene mapping techniques (David Grant and Randy C Shoemaker). Plant mutagenesis and mutant screening (Russell L Malmberg). Plant quantitative traits (Harpal S Pooni and Michael J Kearsey). Transgenic plants (Philippe Crouzet and Barbara Hohn). Paramutation in plants (Jay B Hollick). Gene silencing in plants (Peter Meyer). Functional genomics in plants (Jeffrey L Bennetzen). 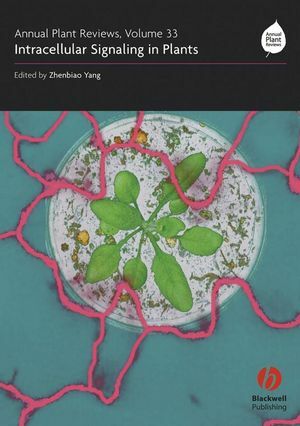 MicroRNAs (miRNA) and plant development (Wang-Xia Wang, Bobby Gaffney, Arthur G. Hunt and Guiliang Tang). Transcriptional profiling in plants (Matthew A Hannah, Dirk Hincha and Thomas Altmann). Plant biodiversity (Stephen A Harris). Plant transformation (Paul JJ Hooykaas). History of biotechnology (Robert Bud). History of scientific agriculture: crop plants (JF Hancock). Biotechnology intellectual property - bioethical issues (Jack Wilson). Arabidopsis thaliana as an experimental organism (Maarten Koornneef and Ben Scheres). Plant cell culture (Roberta H Smith). 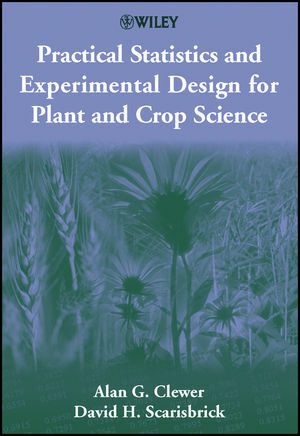 Plant breeding and crop improvement (Peter DS Caligari). Seed banks and gene banks (J William Bradbeer). Nuclear coded protein import into chloroplasts: methods (Jürgen Soll and Bettina Bölter). Patenting plants and plant products (Edward R ErgenzingerJr andW Murray Spruill). Molecular farming in plants (Sophia Biemelt and Uwe Sonnewald). Crop plants: evolution (Allison J Miller). Genetically modified plants (Paul Christou and Teresa Capell). Zea mays (maize, corn) (P Leszek D Vincent). Agrobacterium tumefaciens-mediated transformation of plant cells (Andrew Binns and Angela Campbell). Integrated pest management (Michael P Hoffmann, Frank G Zalom and Thomas P Kuhar). Impact of genetically modified organisms (GMOs) (Maurizio G Paoletti). Natural variation as a tool in gene identification (Zachary B Lippman and Dani Zamir). Flowering plants, evolution (Peter F Stevens). Evolution: history (Peter J Bowler). Coevolution: plant-insect (Heather M Whitney and Beverley J Glover). Coevolution: plant?microorganism (Peter H Thrall, Elizabeth LJ Watkin and Jeremy J Burdon). Coevolution: host-parasite (Dustin J Penn). Cost of disease resistance in plants (James KM Brown). Plant bioenergetics (Stephen C Grace). Source-sink relationships (Christine H Foyer and Matthew J Paul). Plant macro- and micronutrient minerals (Michael A Grusak). Nitrate, potassium and phosphate in plants (Peter J Lea). Plant-water relations (John B Passioura). Water channels: aquaporins (Mark J Daniels and Maarten J Chrispeels). Xylem structure and function (Alexander A Myburg and Ronald R Sederoff). Xylem: differentiation, water transport and ecology (Tsvi Sachs). Phloem structure and function (Alexander Schulz and Gary A Thompson). Plant respiration (Steven A Hill). Shikimate pathway: aromatic amino acids and beyond (Klaus Herrmann and Robert Entus). Plant storage products (carbohydrates, oils and proteins) (J Derek Bewley). Galactolipids in plant membranes (Peter Dörmann). Callose and related glucans (Bruce Stone). Sulfur metabolism in plants (Stanislav Kopriva). Plant growth and carbon economy (Hendrik Poorter). Nutrient acquisition, assimilation and utilization (A James S McDonald and Dominic B Standing). Nitrogen fixation (Robert H Burris). Plant secondary metabolism (Edwin Haslam). Phenylpropanoid metabolism (Ragaï K Ibrahim). Plant alkaloids (Jack G Woolley). Terpenoids: higher (W David Nes and Wenxu Zhou). Terpenoids: lower (Jeffrey B Harborne). Plant storage lipids (Denis J Murphy). Plant cuticle and suberin (PE Kolattukudy). Cyanogenesis in higher plants and animals (Matthias Lechtenberg). Evolution of plant secondary metabolism (Peter G Waterman). Secondary metabolites: attracting pollinators (Jeffrey B Harborne). Plant volatiles (Steven F Vaughn). Latex and laticifers (Roy GO Kekwick). Secondary metabolites: killing pathogens (Jonathan D Walton). Secondary metabolites: deterring herbivores (Michael Wink). Metabolite profiling in plants (Richard N Trethewey). Polysaccharides: plant noncellulosic (Ian M Morrison). Plant gums (James N BeMiller). Lectins (Nathan Sharon and Halina Lis). Cellulose: structure and distribution (Bruce Stone). Cellulose: biogenesis and biodegradation (Bruce Stone). Lignins (John Ralph, Gösta Brunow and Wout Boerjan). Evolution of photosynthesis (Wim FJ Vermaas). Photosynthesis: dark reactions (Dieter Heineke). Rubisco (Archie R Portis Jr). Starch and starch grains (Donald R Geiger and Jerome C Servaites). Starch biosynthesis and degradation in plants (AlisonM Smith). Kranz anatomy and the C4 pathway (James O Berry). Crassulacean acid metabolism (Ulrich Lüttge). Photosynthesis (Donald R Ort and John Whitmarsh). Chlorophyll binding proteins (Heiko Lokstein and Bernhard Grimm). Photosynthesis: light reactions (Derek S Bendall). Cyclic electron transport (Giles Johnson). C3 carbon reduction cycle (Christine A Raines and Julie C Lloyd). Chlorophyll biosynthesis and catabolism (Ulrich Eckhardt and Bernhard Grimm). Light-harvesting complex (Neil W Isaacs and Richard J Cogdell). Photosystem I (Norbert Krauá and Wolfram Saenger). Photosystem II (John Whitmarsh and Govindjee). Photosynthetic carbon metabolism (Archie R Portis Jr). Algal photosynthesis (James V Moroney). Photosynthesis and respiration in cyanobacteria (Wim FJ Vermaas). History of plant ecology (Malcolm Nicolson). Plant stress physiology (David Rhodes and Anna Nadolska-Orczyk). Plant response to water-deficit stress (Elizabeth A Bray). Ozone and reactive oxygen species (Andrew C Allan and Robert Fluhr). Plant salt stress (Jian-Kang Zhu). Abiotic stress in plants (Hans J Bohnert). Acid rain (Heinz Rennenberg and Arthur Gessler). Anoxia in plants (Martin M Sachs). Heavy metal adaptation (Luis Rafael Herrera-Estrella, Angel Arturo Guevara-García and José López-Bucio). Plant light stress (Sharon A Robinson). Plant temperature stress (Hidenori Hayashi). Cold tolerance and freezing in plants (Francois Ouellet). Plant responses to wounding (Jose J Sánchez-Serrano). Plant defences against fungal attack: biochemistry (Deanna L Funnell and Christopher L Schardl). Plant defences against herbivore and insect attack (Christopher L Schardl). Plant defences against fungal attack: recognition and signal transduction (Aardra Kachroo). Plant physiological responses to climate and environmental change (Guy F. Midgley). Ecophysiological responses of plants to air pollution (Simon JM Caporn). Ecology of water relations in plants (Yoseph Negusse Araya). Energy, radiation and temperature regulation in plants (Hamlyn G Jones and Eyal Rotenberg). Plant interactions with biotic variables (Susan E Hartley). Salicylic acid (Ralf R Weigel). Oxidative stress and redox signalling in plants (Stanislaw Karpinski). Jasmonic acid and its volatile derivatives (Gregg A Howe and John Browse). Viruses and plant disease ??? (Roger T Plumb). Plant virus diseases: epidemiology (Yvon Robert). Plant virus transmission by insects (Benjamin Raccah). Invertebrates and fungi in plant virus diseases (Arne Eppler, Cornelia Heinze and Günter Adam). Plant disease (Steffen Rietz and Jane E Parker). Plant resistance to infection with viruses (Frédéric Revers). Plant viruses: soil-borne (David J Robinson). Fungal pathogens of plants (Neal K Van Alfen). Virus and host plant interactions (Andrew J Maule). Carnivorous plants (Wolf-Ekkehard Lönnig and Heinz-Albert Becker). Resistance genes (R-genes) in plants (Kim Hammond-Kosack). Bacterial pathogens in plants (Jules Ade).